One of my Christmas shots on the beach of Gulf Shores. Learned how to set the timer and run and pose. :-) And then the Blue Heron thinks he has to be in the shot also. 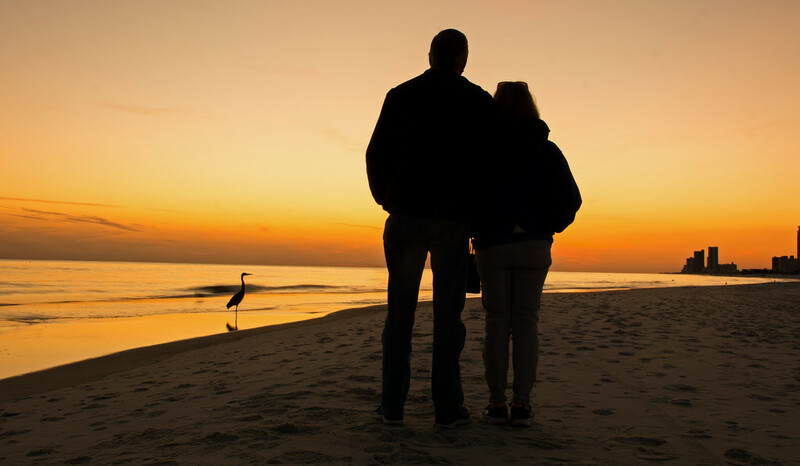 Great idea & I like the heron watching the sunset with You! a wonderful capture and lovely silhouettes. This is so beautiful. The heron is the cherry on top, so to speak. I understand the sand down there is like sugar! Well done sir! Wow, this came out great, really beautiful sunset and silhouette.